Planning to add a touch of class to your home or office interior décor? Canvas fine art prints are the ideal option. Canvas fine art prints are the most exciting and beautiful way to add color to your space. 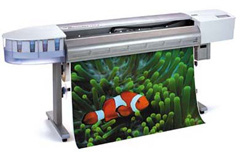 Superchrome - the large format digital printing company- is considered as the one-stop destination for all your needs in canvas fine art prints. Superchrome has years of successful experience in making canvas fine art prints. You will be amazed at the excellent quality of canvas fine art prints we provide. To live up to your expectation, durable canvas materials and high quality water resistant and UV resistant inks are used for printing. We produce canvas fine art prints in varying sizes and shapes. You can opt from canvas fine art prints ranging in size from A2 to 60x40". We assure unconditional 100% satisfaction in each of our canvas fine art prints, irrespective of their size and shape. If you have any specific requirements in canvas fine art prints, please let us know your needs. Taking into consideration your needs, we can make customized canvas fine art prints within the time span you specify. To give the artwork complete look, we have in-house framing and stretching department. All our canvas fine art prints come mounted on wooden frame, and with special ultra-violet and moisture protective coating. Thus, it will remain crisp and vibrant for generations. Enjoy our wonderful collection of canvas fine art prints online. And, select the perfect canvas fine art print for your home or office. This wonderful piece of artwork can be an ideal gift for your loved ones on their special occasion. So place your order today itself. We will promptly deliver your canvas fine art prints within 48 hours of order at your door step. Our prints are delivered bubble wrapped if stretched and sent by Royal Mail. Contact us for quotes. If you would like to know more about canvas fine art prints, any of the projects shown or if you want to discuss any project you have coming up then contact us 020 7237 9333 or fax 020 7237 9444 or email sales@superchrome.co.uk. Our experienced personnel would be able to guide you appropriately.